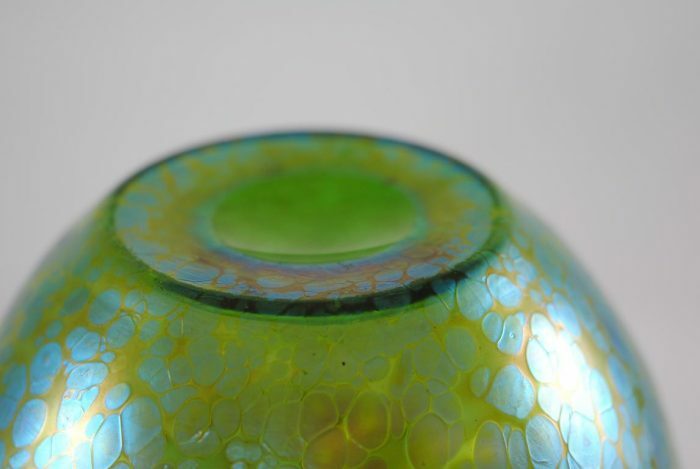 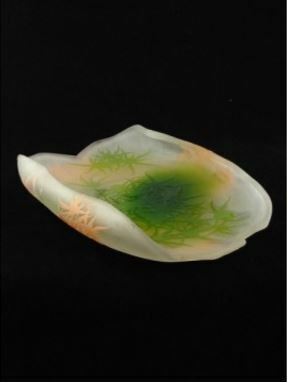 Art Nouveau Loetz iridescent glass bowl in the Papillon décor – Creta (Green) on clear glass. 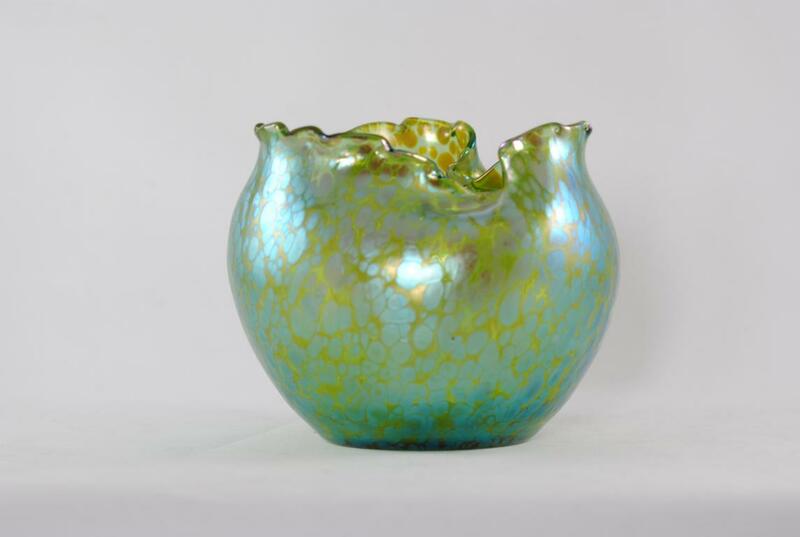 The wavy edge of the bowl shows off the subtle iridescence of this piece and demonstrates the skill and craftsmanship of these skilled makers. 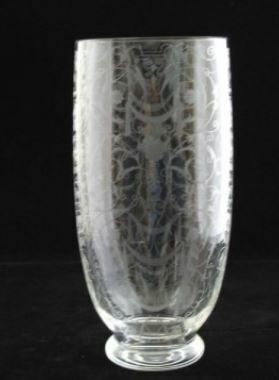 The vase is unsigned. 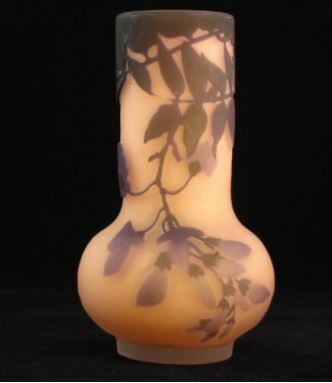 A stunning piece and a wonderful example of Art Nouveau glass. 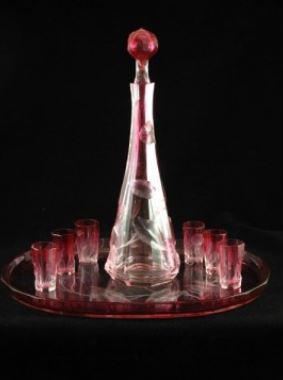 Made by the Loetz witwe glassworks in Klostermuhle about 1910.